A plot to kill Paul had just been revealed to the tribune in our last encounter. Paul’s nephew had somehow overheard the plans between a determined group of Jews and the counsel. The tribune decides to act quickly. Paul is back in protective custody as we rejoin him. 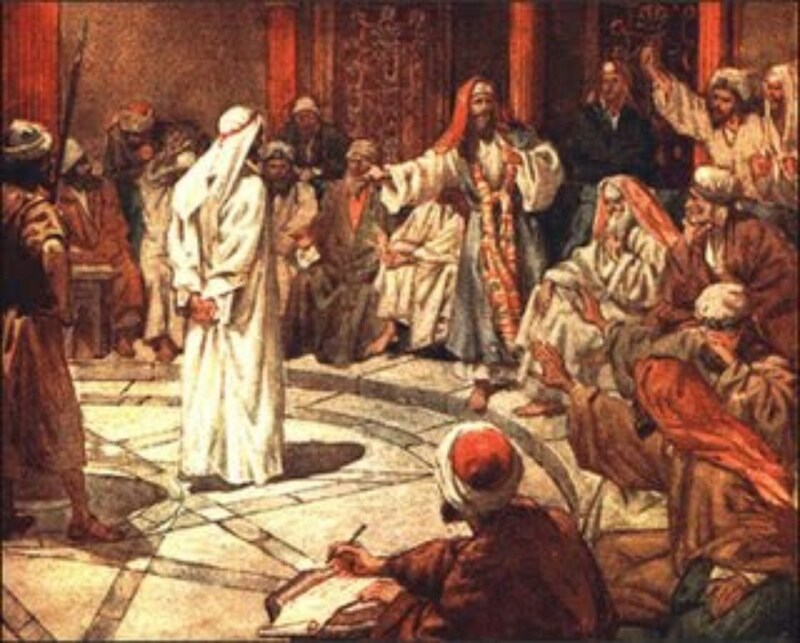 God spoke to him in this place and told him that he was not done testifying for Him. When day breaks though, another group of men hatch a different plan. As soon as I started reading and saw the “oath” this group made I smiled. Their promise was to neither eat nor drink until they had killed Paul. If you want to make God laugh, tell Him your plans. Were these men the Asian Jews? They absolutely did NOT like Paul. If they were serious about their oath they would die of hunger and thirst! The group went so far as to make their oath known to the chief priests. Did it make their oath more binding or were there ways to get out of it because circumstances changed? We left Paul in the care of the tribune. I say “care” very loosely because he was about to try beating the truth out of him. But that all came to a screeching halt when Paul informed them he was a Roman citizen. 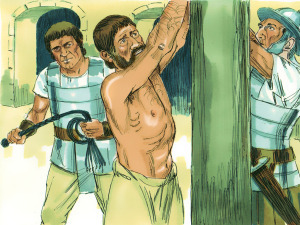 Paul was safe from flogging but not released. 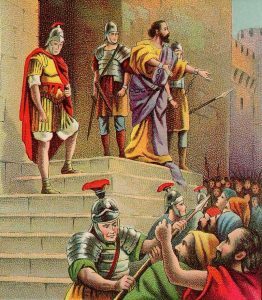 Acts 22:22-29 A Roman Citizen! Paul stands before the people sharing his testimony. 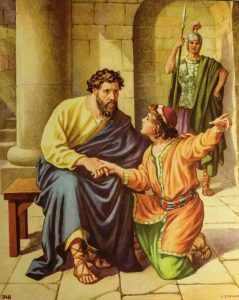 All are listening until he makes ONE statement; “And He said to me, ‘Go, for I will send you far away to the Gentiles’” (verse 21). The crowd goes wild and Paul is hurried inside the barracks. That is where we left Paul last time. At the point where the crowd was calling out for his death. “Away with such a fellow from the earth! For he should not be allowed to live” (verse 22b). If that’s not wishing someone dead I don’t know what is. I would venture to say they didn’t accept Paul’s testimony. When we left Paul yesterday he was being carried into the barracks for his own protection and examination. He had been attacked by MANY Jews and dragged out of the temple. They meant to kill him but the soldiers intervened. Today he is on the threshold of the barracks when he asks if he can address the crowd. 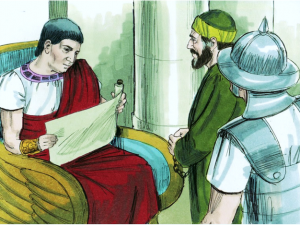 The tribune thought Paul was an Egyptian who had recently caused a great deal of trouble. To him, this would have made sense regarding what had just happened. His comment about Paul speaking Greek makes me wonder. Had Paul spoken to him in Greek or was the tribune asking him to do so now? Was Greek the language of the tribune or the Roman guards?